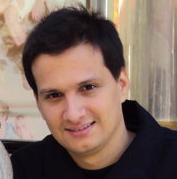 Carlos is a senior security researcher and consultant for IOActive, has worked around the world doing consulting and security trainings. His main expertise are exploitation, reverse engineering, bug hunting and cryptography. Holds a Bachelor's degree in Computer Science and has been awarded with science merit honours for his graduation thesis. In his free time he had disclosure several vulnerability advisories to US-CERT, ICS-CERT and CN-CERT for world´s most used SCADA/HMI. He also likes coding theory, number theory and ECC.